This was the shot which led to my love of abstract landscapes. The interplay of light, shadow, color and shape fascinate me, and I now look at the world in a slightly different way. 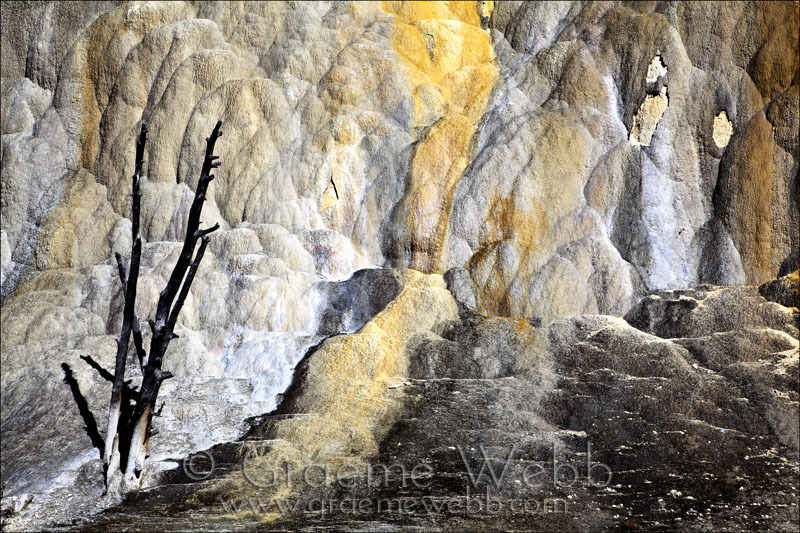 This is a mound of huge proportions created by geothermal activity in the Mammoth Hot Springs area of Yellowstone. The yellow colors are the result of sulpher deposits. The tree has long since been dead, unable to survive in the conditions which crept upon it.